342 pages | 21 B/W Illus. Understanding the politics of security in city-regions is increasingly important for the study of contemporary policing. This book argues that national and international governing arrangements are being outflanked by various transnational threats, including the cross-border terrorism of the attacks on Paris in 2015 and Brussels in 2016; trafficking in people, narcotics and armaments; cybercrime; the deregulation of global financial services; and environmental crime. Metropolises are the focal points of the transnational networks through which policing problems are exported and imported across national borders, as they provide much of the demand for illicit markets and are the principal engines generating other policing challenges including political protest and civil unrest. This edited collection examines whether and how governing arrangements rooted in older systems of national sovereignty are adapting to these transnational challenges, and considers problems of and for policing in city-regions in the European Union and its single market. Bringing together experts from across the continent, Policing European Metropolises develops a sociology of urban policing in Europe and a unique methodology for comparing the experiences of different metropolises in the same country. This book will be of value to police researchers in Europe and abroad, as well as postgraduate students with an interest in policing and urban policy. "Mega-cities now dominate world geographies. Tied to shifting demographics, globalization and urbanization, mega cities have grown in complexity, now representing the highest concentration of peoples across the world. Understanding how such complexities are made secure and safe, by the police and others, is a new intellectual frontier. 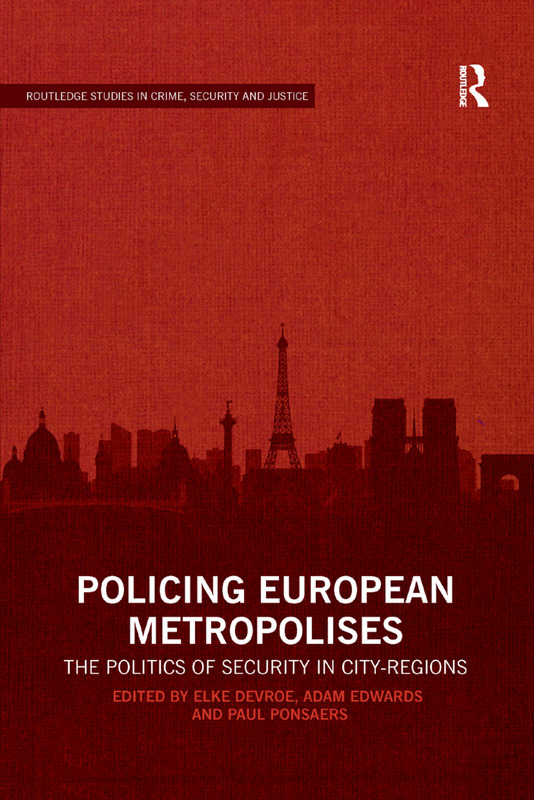 Policing European Metropolises is a significant intellectual and grounded theoretical contribution to understanding such complexities and expanding theories of Metropolitan Police Governance. A must read in a globalized world." Contemporary social scientific scholarship is being transformed by the challenges associated with the changing nature of, and responses to, questions of crime, security and justice across the globe. Traditional disciplinary boundaries in the social sciences are being disturbed and at times broken down by the emerging scholarly analysis of both the increasing merging of issues of ‘crime’ and ‘security’ and the unsettling of traditional notions of justice, rights and due process in an international political and cultural climate seemingly saturated by, and obsessed with, fear, insecurity and risk. This series showcases contemporary research studies, edited collections and works of original intellectual synthesis that contribute to this new body of scholarship both within the field of study of criminology and beyond to its connections with debates in the social sciences more broadly.